What is the statute of limitations for an employee claiming a compensation error? Under the Public Records Act (PRA) or other applicable statutes, under what conditions is notification required to a third-party of a public records request (as referenced in RCW 42.56.540)? 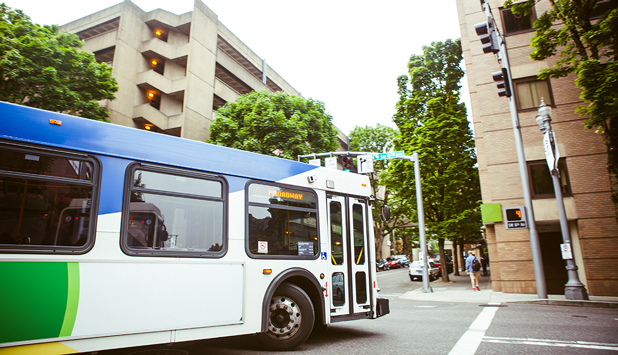 Can a transit agency withhold funds under a services contract until certain conditions are met? Does the A&E solicitation process apply to an underground storage tank fuel consultant? We will need to put out an RFQ or RFP for this work, but we need clarification on whether this would fall under the area of A&E and be considered an RFQ or whether this would be an RFP where price would be considered as part of the proposal? Request for information and some sample policies from other Washington jurisdictions regarding public agencies providing lunches for full-time employees during meetings . Officials and staff from eligible transit agencies can use our free one-on-one inquiry service, Ask MRSC. (2) If the department determines that an employer has violated a wage payment requirement and issues to the employer a citation and notice of assessment, the department may order the employer to pay employees all wages owed, including interest of one percent per month on all wages owed, to the employee. The wages and interest owed must be calculated from the first date wages were owed to the employee, except that the department may not order the employer to pay any wages and interest that were owed more than three years before the date the wage complaint was filed with the department. An agency has the option of notifying persons named in the record or to whom a record specifically pertains, that release of a record has been requested. However, this option does not exist where the agency is required by law to provide such notice. Based on the plain language of RCW 42.56.540, cities have the option to provide third party notice at their discretion, except where required by other laws. The last two sentences of this statute were added in 1992. There currently is no obligation to notify a person who is included in a record. We have not been able to find any requirement for notification outside the PRA, but of course there may be circumstances in other statutes that we are not aware of. Nevertheless, we have not found any court decision, statute, or AGO indicating there was an obligation to notify. Sometimes an agency decides it must release all or a part of a public record affecting a third party. 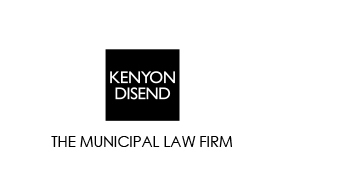 The third party can file an action to obtain an injunction to prevent an agency from disclosing it, but the third party must prove the record or portion of it is exempt from disclosure. RCW 42.56.540. Before sending a notice, an agency should have a reasonable belief that the record is arguably exempt. Notices to affected third parties when the records could not reasonably be considered exempt might have the effect of unreasonably delaying the requestor's access to a disclosable record. “Retainage” is required to be withheld as part of the public works process, but the retainage requirements do not apply to contracts for services. However, your agency and the other contracting party can agree to a withholding of funds until certain conditions are met – in your current situation we gather you want to incentivize the other party to get reports filed by designated dates each month. So long as the contractual provisions are not in conflict with state law, the parties should be able to agree to a withholding of payments until reasonable conditions are met. Because “retainage” is a term used to refer to statutory requirements in the public works context, it might be helpful to avoid using that word in a services contract. Does the A&E solicitation process apply to an underground storage tank fuel consultant? We will need to put out an RFQ or RFP for this work, but we need clarification on whether this would fall under the area of A&E and be considered an RFQ or whether this would be an RFP where price would be considered as part of the proposal? If it is determined that the work to be done does not require any of the above professions, then you can follow your service contracting policies for personal services, and you could use an RFP that includes both qualifications and price as criteria for award. Request for information and some sample policies from other Washington jurisdictions regarding public agencies providing lunches for full-time employees during meetings.
. . . if properly authorized by local ordinance or policy, municipal officers and employees can claim reimbursement for meals consumed on official business but not necessarily in the course of official travel. In order to support the expenditure, a local government agency should have a policy specifying what types of food and drink expenditures are authorized—especially meals eaten at public expense. It may be appropriate for a council, board, or staff to have a meal in conjunction with a meeting if the meeting is long and occurs during a mealtime. For example, it is not uncommon for city councils to schedule study sessions and regular meetings on the same evening. Such meetings may start as early as 5:00 PM and go until 10:00 PM or later. Some agencies opt to provide meals to their councilmembers if a meeting is expected to extend through a meal time. See also MRSC’s Travel Expense Reimbursement page which contains several more policies.